There is something so luxurious about a bath! When I was a kid, I used to love when my grandmother let me have one of those bath oil pearls while using the giant old cast iron tub at their house. 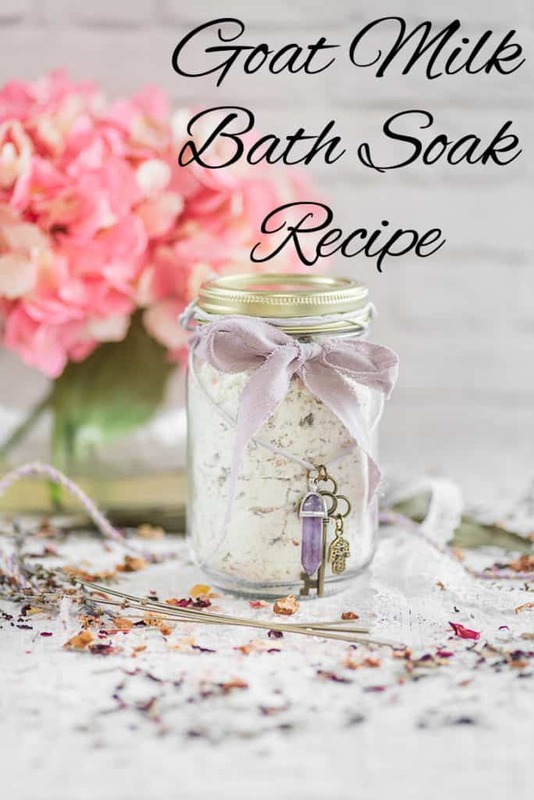 I still love a good bath, which is why I’m sharing this goat milk bath soak recipe! 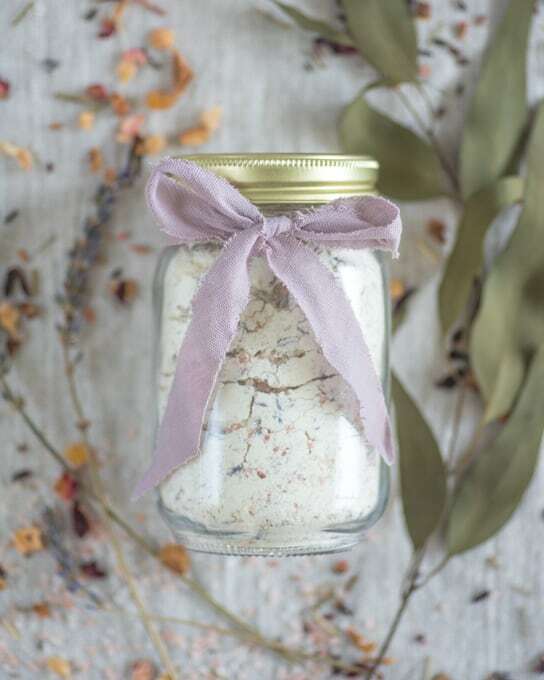 You don’t need much to make a goat milk bath soak, and it’s easy to customize. 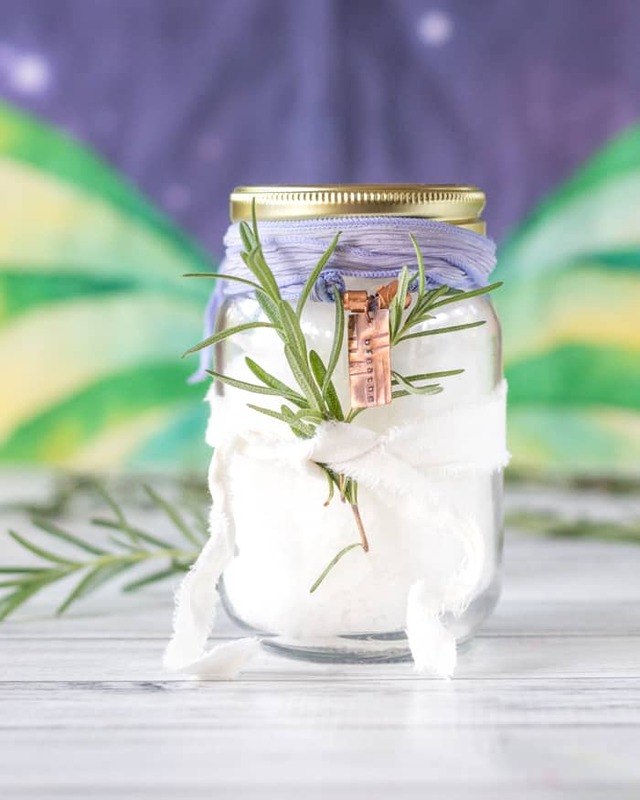 I used lavender in the example soak – both lavender buds and 3 drops of lavender essential oil – but herbal loose leaf teas make fantastic soaks, as well. Other dried botanicals, such as rose buds, are also pleasant. The recipe given is for one pint, so just modify the quantities to make more or less to suit your needs! 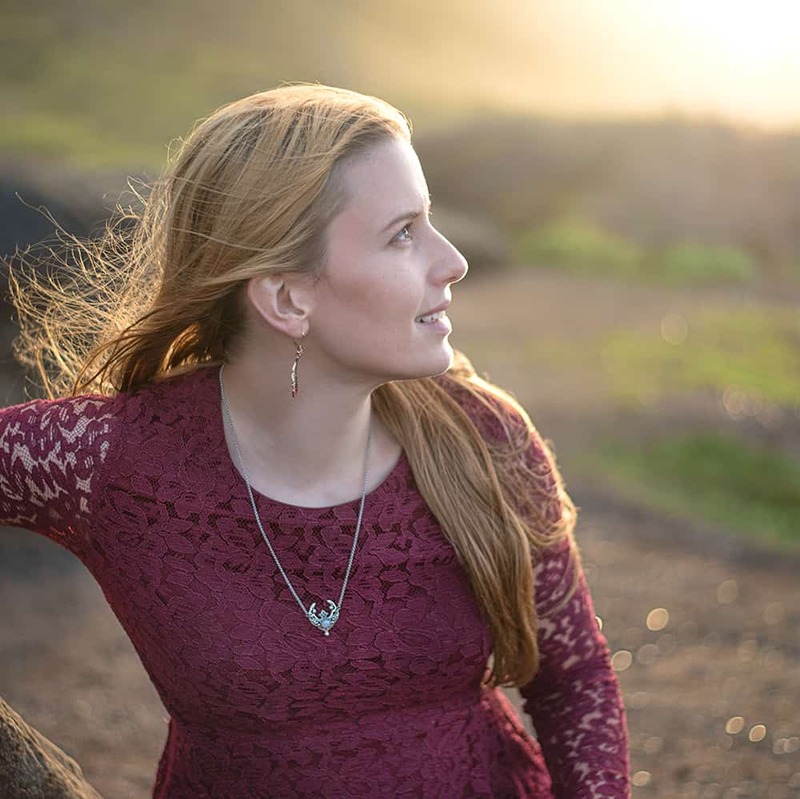 This is so super easy – are you ready? 1. Place your ingredients in a clean bowl. Make sure to use scant, not heaping, quantities or it may not all fit in your jar! 2. Stir gently with a spoon to combine. 3. Carefully spoon the mixture into your clean jar, pressing down slightly with the back of the spoon as needed to make it fit. 4. 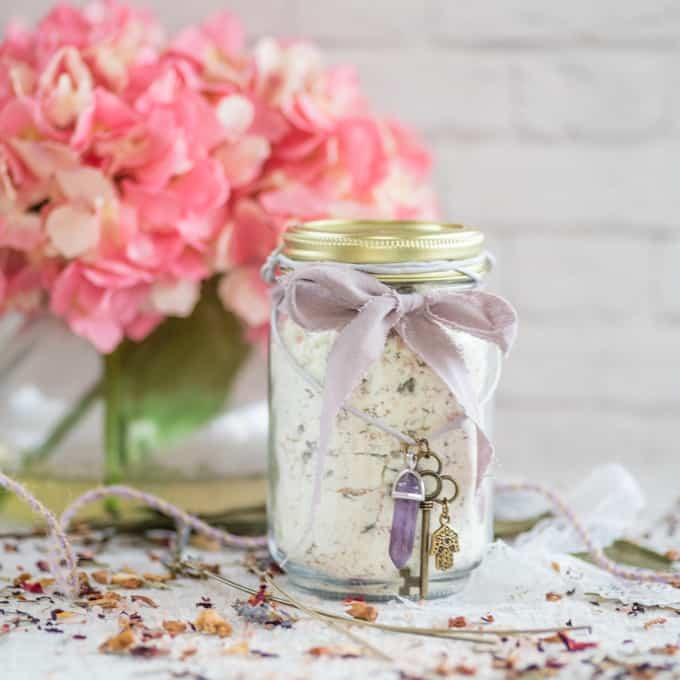 Decorate your jar with ribbons, lace, labels, etc. as desired. 5. Give as a gift or enjoy yourself! To use, add 1/2 – 1 cup to your bath. If the ornaments look familiar, yes, I tied my crystal and key necklace to the jar as a photo prop! It’s pretty cute, don’t you think? Looking for another soak recipe? 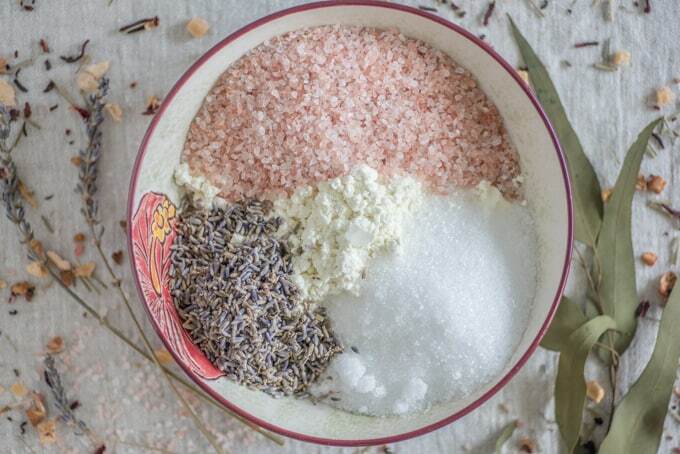 Check out this lovely rosemary foot soak for sore feet! When’s the last time you treated yourself to a luxurious bath? This sounds lovely! I haven’t taken a bath in years but it sounds relaxing right about now. 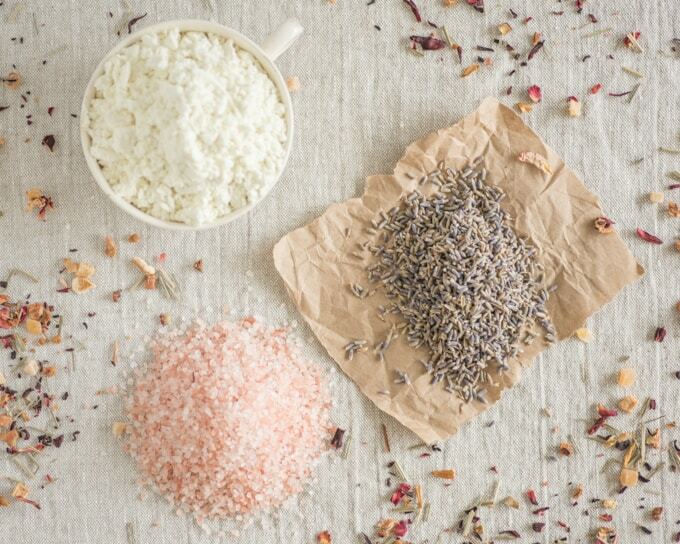 I’m sure you could use a de-stressing bath this time of year!